A possibility on the sightings of strange animal attacks in Manipur state. Mystery or hysteria of animals’ attacks on livestock and sightings of an uncommon animal still prevails in Manipur state despite massive manual search is going on as and when such sightings happen. Now, also rigorous search has been started using CCTV cameras by the concerned dept and government. We have already discussed about two models earlier (https://www.facebook.com/raghu.ningthoujam/posts/1982188178544825) viz (i) migratory model of natural animals and (ii) alien model of unknown species. Attack on the small livestock animals like ducks can be explained by natural animals like wolves, foxes, dogs, bears, Keijenglang (wild leopard cat) etc. However, the description of the features of the creatures as seen during close encounters by people mostly during night (darkness) and the one in the early foggy winter morning cannot be fitted to small animals like dogs, big wild leopard cats, foxes, wolves etc. So, the immediate question is where does it fit? 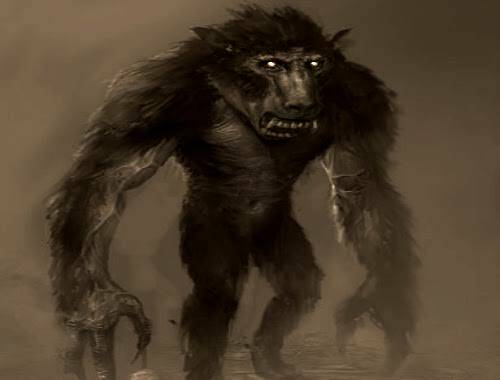 There have been reports of the unknown creature attacking few human victims (women) and a dog, leaving deep scratch marks from its sharp claws. However, life threatening attacks to human beings haven’t been reported so far. In the last few weeks, many people have claimed to have sighted the mysterious creature and this has created panic situation in the minds of people across the state. The animal has also left its claws marks on walls and barks of trees as seen from the video footage reports uploaded in social media. The animal has also left his or her foot imprints elsewhere. The common characteristics of the unseen and unknown animal, as narrated by the eye-witnesses during their close encounters, are: (i) apparently it has monkey face (ii) it is quadruped animals having four legs (iii) it can stand upright like a biped human being, (iv) it has very bright eyes like torch light LEDs (v) it has ears and up/down canine teeth (vi) it has very sharp claws (long nails) (vi) it has a tail (vii) it can jump very high and very long so that apparently it flies while being chased (viii) it is extremely clever animal and it is highly intelligent (ix) it can sense the surrounding, (x) it can deflect gun bullets and escape unhurt from weapons even from guns. So, what is this weird animal? (i) Monkeyoid (ii) Mutant Monkey. Monkeyoid is a robot which resembles a monkey in appearance. With the advancement of robotics and Artificial Intelligence (AI), Human like robot too is very common nowadays. Such advanced robots are specifically developed for strategic applications by advanced countries. Monkeyoid could be a product of advanced human minds, robotic science and artificial intelligence, and it could be a highly intelligent robot. Monkeyoid could have monkey anthropomorphic look exactly like a monkey, it could have all degrees of freedom (DOF) and kinematically it could perform a task like a monkey. Monkeyoid could have intelligence and cognition with various sets of inbuilt sensors like proprioceptive sensors, proximity sensors, range sensors, vision cameras, and LIDAR/RADAR systems. Monkeyoid can also be fitted with hands of 3-fingers with sharp metal claws. Monkeyoid can also have legs with sharp claws and springs beneath the foot. Thus, monkeyoid can exactly do what a real monkey does: prank, scaring people, scratch people or animals. Monkeyoid with three fingers metal claws can scratch on hard surface like walls and barks of trees easily. Monkeyoid with spring foot can quickly jump high and long, just like that apparently they can fly. Monkeyoid armed with densely connected metal mesh or a very flexible mesh can quickly destroy gun’s bullet energy by absorption and equal distribution making them bullet (gun) proof. Thus, the narrated characteristics of the mysterious unknown animal can also be explained by the Monkeyoid hypothesis. 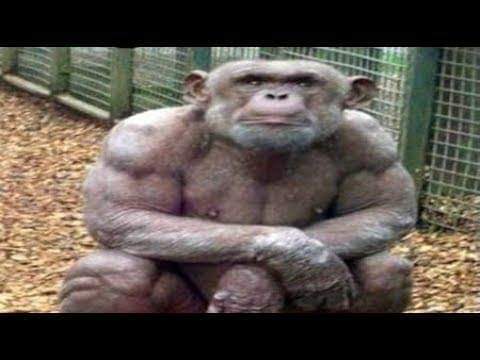 This monkyoid reminds the unsolved mystery of Monkey Man of Delhi during 2001, who created similar panic incidents and hurt by his attack, mostly scratch, during that time. Thus, the present situation of Manipur state cannot rule out the modus operandi of a Monkeyoid, an outcome of advanced technology as a cross border activity. Who knows the Monkey Man of Delhi (2001) cold be a proto-model and present context of Manipur state could be Return of Monkey Man of Delhi (2001) as a full scale model! On the other hand, a mutant monkey is a monkey that is genetically modified like macaques. Such bio-engineered and genetic modification of primates has been reportedly conducted in many laboratories of advanced countries beyond the border. Reports on such successful experiment in primate monkeys are available in public domain too. Who knows the sighted monkey-faced animal could be a product of such bio-engineering experiments as well! Thus, the possibilities of a Monkeyoid and/or Mutant monkey cannot be ruled out in the present context of mysterious animal sighting and its attack. It is more likely to be Monkeyoid based on the eyewitness’s accounts. However, the truth can be found out using a night vision CCTV camera along with Infrared thermograph mapping technique. The idea is that, any object at a temperature above zero Kelvin emits radiation which is mostly in infrared (IR) range and the body parts of an animal are having different temperature distribution, and this temperature distribution can be mapped to match a reference animal including a monkeyoid. It is better to be scientifically planned to understand the incidents instead of falling prey to mass hysteria. # Credit for images goes to the original sites. What happened to molecular tools to confirm the alleged predator? Mutant? Seriously? Like in the movies!! Kindly stop speculating about the imaginary cryptoid. I think it is the Bigfoot or Maybe an Alien. State government should report to Central government so that they will sent top scientists and researchers to catch this mystery. What the F**k is wrong with the writer I thought this article was something serious… I mean how old are you dude? 2yrs ?? Writing news article is a serious job it has to be factual and not fictional you’re not writing a comic…. It is inevitable that since the mysterious animal attack has been happening in the nights, people’s imagination will go wild to the extent of thinking aliens, chupacabra and what not. But we need to be careful and logical in approach to solving this unprecedented case that has befallen in Manipur. Firstly, the attack to domestic animals and livestock is nocturnal. So the suspect animal or predatory bird is a nocturnal one whose capabilities and visual strength are more during night or darkness. Also is is a season of migratory birds and possibly animals. The attack has been on small animals and not by the neck of victims. So the attacker is a small animal or big bird of prey. No aliens will come so far to indulge in this frivolous animal killings. Among the nocturnal predatory animals not native to the place is viverra , a type of large civet cat found in Thailand, Laos etc , coyote or cats that could have migrated or mistakenly strayed to Manipur . There are eagles as big that can lift mountain goat , but not nocturnal. Could it also be an animal an exotic animal that someone has been keeping caged as pet and fled that the owner has kept quiet over it. N see .what is here! Shame on the writer for indulging in rumor mongering and fear spreading. The article is devoid of any scientific assertions. To assert that the animal could be a robot or a lab experiment like in the movies reeks of attention seeking on the part of the author. When the entire state is gripped in fear, there was no need to increase the tension by falling on fanciful names and childish creations of animals. Now is the need for educated people to spread calm and ease fear by talking sense and stating facts. Once again, shame on you. Please tell me an ‘onsite’ evidence of a robot. I’ll wait. And don’t try to be patronizing. Coming from an apparent scientific expert writing about a completely unscientific story, it’s really cringe. Your piece with the alien model explaining why it might be the chupacabra is just plain embarrassing coming from a scientific expert. Look it up. The chupacabra is a myth for a reason. Its existence has never been proved for a reason. Please. Do not go around spreading false information and increasing fear where it is unnecessary. Dear Vijay, I think: you are not getting the point and have understood partially. Please ping me to my inbox as that communication would be more conducive. Have a pleasant Sunday.